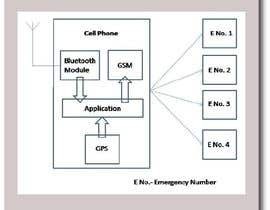 I want a 10 steps graphic tutorial of mobile phone skin installation. For every step, I want a single graphic design that summarizes it. I want each to design to be in a square or rectangular format. Please check the attached photo. It's gonna be something similar to it. 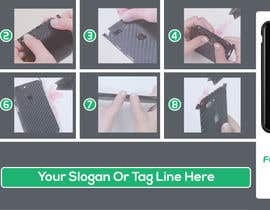 [login to view URL] the dedicated camera skin first ( If your phone comes with one). Simply remove it from the sticky film and install it carefully to wrap your phone camera. 3. Remove the skin from the sticky film, then reattach it again so that the bottom of the skin that includes the speaker and charger openings is facing up and exposed out a little bit. 4. Carefully align the charging port and speaker openings of your phone with the skin. and wrap it around. Apply firm pressure on both sides with your finger, then apply hot air to for 10 seconds while applying pressure. 5. 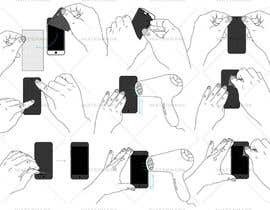 Remove the sticky film entirely, then carefully align the skin with the camera opening of your device. Apply pressure to the exposed areas and to the back of your skin to smooth it out. Apply hot air for 10 seconds while applying pressure. 6. Now you should have 3 exposed skin portions on the sides of your device. Start with the top side. Apply hot air for 10 seconds to soften it a little bit, then wrap it carefully around the top side of your phone. Apply pressure and hot air for 10 seconds. 7. Repeat Step 6 for the remaining 2 exposed skin sides, 1 side at a time. Do not forget to apply pressure from one side to the other while applying hot air for 10 seconds after wrapping it carefully. 8. Now you should be left with 4 exposed skin flaps, 1 at each corner of your device. 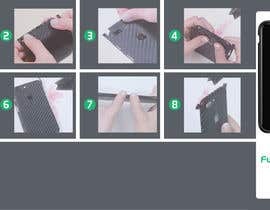 Start with one corner, apply hot air to the flap for 10 seconds to soften it, then wrap it carefully to cover the exposed corner of your device. Apply hot air for 10 seconds while applying pressure. 9. Repeat Step 8 for the remaining 3 exposed corners of your device, one corner at a time. Do not forget to apply hot air for 10 seconds while applying pressure after wrapping it carefully. 10. Use the hot air to go over all sides, corners, and the back of your device. Apply firm pressure while applying hot air to all sides individually for 10 seconds to make sure the skin is melted to your device. Congrats! You just finished transforming your device! Please don't close the contest before the deadline! Thanks! Please increase the prize if you want custom graphics made. Hi it's been some hours and nobody entered yet. Can you DM me? I'll help you out.